Sarah sent me this pic tonight of Lorelei and her 'friend.' Beautiful...both of them! Beautiful photo of Lorelei and the moth friend. wow, I would be full of joy to hold or even just see this beauty. ...Rose it's nice to see your granddaughter, the nature gal. That is a beautiful photo! At that age, learning about nature is so much fun. Oh my WORD!!! I am nearly speechless!!! How did she get it to sit on her hand? Huge and gorgeous! And Lorelei has grown so much, she is getting more and more beautiful. What grade is she in now? Does she like school? We need a Lorelei update! Beautiful pictures. Brings back childhood memories. Yes, they definitley are both beautiful!! That is a beautiful moth! and that sweet Lorelei is beautiful too. I can't believe how she is growing up. The moth looks like velvet, doesn't it? That moth has beautiful markings. 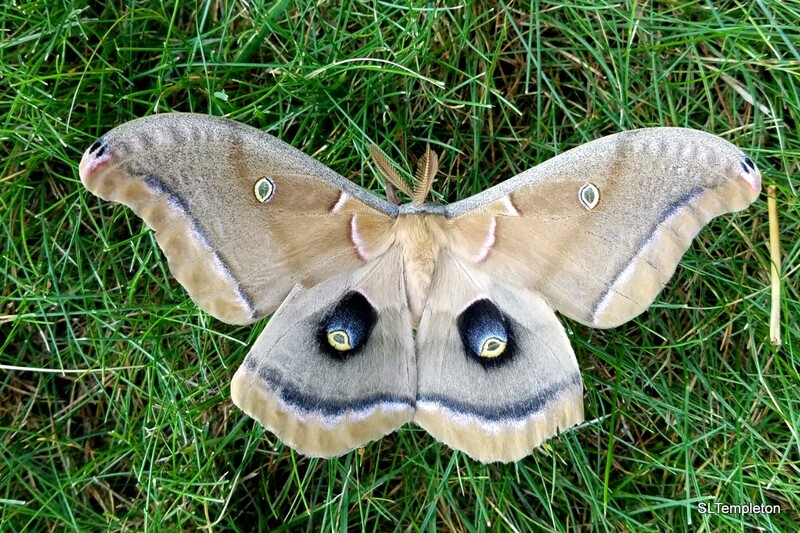 Wow that moth is beautiful, it is so big. Wow that's a large moth. Yes, Lorelei is beautiful as is the moth. 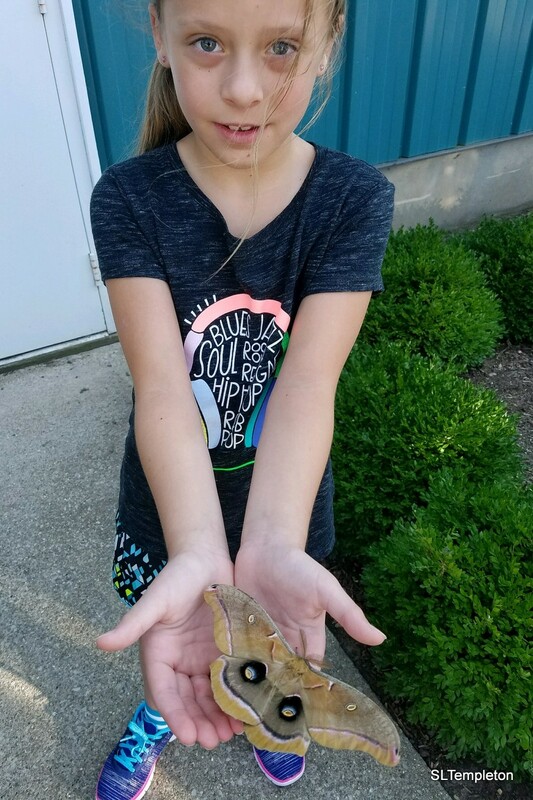 Thiis is a beautiful picture of your granddaughter and her moth friend.